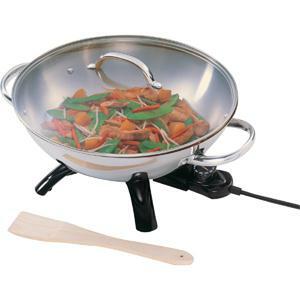 The quick and easy way to prepare sizzling stir-fry meals! Luxurious stainless steel body and handles. Aluminum clad base for even heating. Tempered glass cover with stainless steel rim and handle.